Jared Cordoba earned First-Team All Conference honors this year. 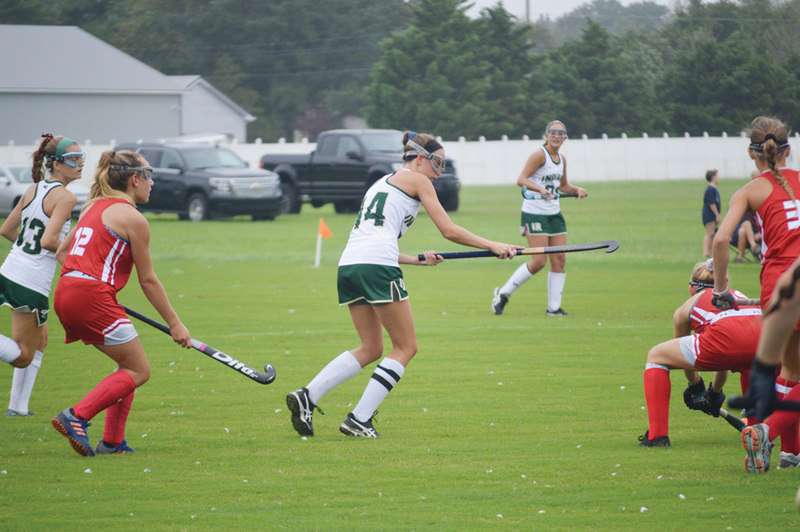 Rylie Cordrey earned Second-Team All Conference honors for field hockey. Four of those teams won HAC South Division championships as well: field hockey, girls’ volleyball, boys’ soccer and boys’ cross-country. The field hockey team placed seven girls on the postseason awards ledger. Junior Morgan Bomhardt was the lone First-Team selection for defense. Juniors Rylie Cordrey and Avery Congleton — the Indians’ top two scorers this year — picked up Second-Team honors at their attack position. Also receiving Second-Team honors were juniors Jess Rybicki (midfield), Kaylee Hall (midfield) and Savannah O’Shields (defense). Honorable-mention recognition went to freshman Brynn McCabe. 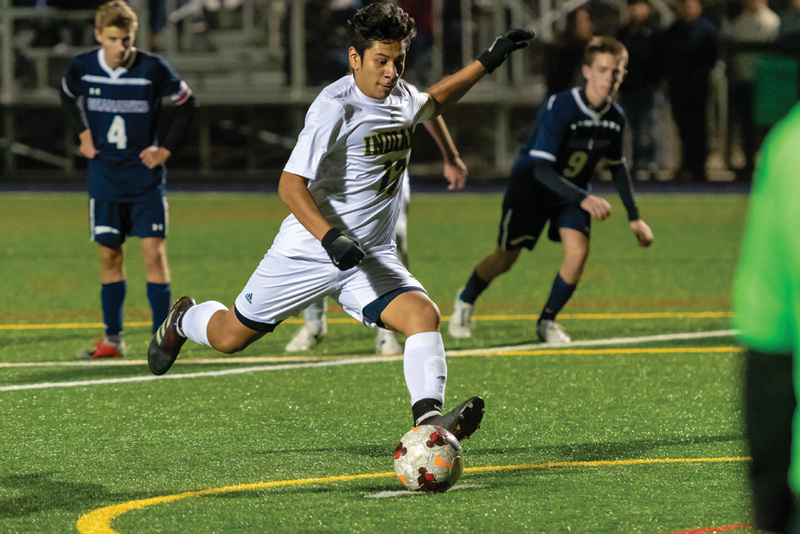 Another 11 Indians garnered All-Conference honors for the boys’ soccer team, including six on First-Team. Junior Jared Cordoba, who led the team with 19 goals and 11 assists this season, found himself on the First-Team. Seniors Luke McCabe, Luke Morgan and Juan Linares closed out their scholastic careers on the First-Team. Sophomore Erick Aguilera also picked up First-Team honors. On the Second-Team were senior Jhony Ortiz-Velasquez and Zach Neal, juniors Alex DiLuzio and Yves Graf, and sophomore Josh Bird. Junior Eddie Mochiam picked up honorable-mention honors. Indian River head soccer coach Steve Kilby was named the South Division Coach of the Year for boys’ soccer. The IR volleyball team wound up with five girls receiving All-Conference recognition, with sophomore Raychel Ehlers and junior Jessica Amezcua going on the First-Team. Juniors Mariani Chavez and Natalie Burnshaw were on the Second-Team, and junior Siera Johnson was named to the honorable-mention team. The IR football and cross-country teams each had three members of their teams receive honors. Senior Zach Schultz was named to the Second-Team, both offensively and defensively, for his efforts on the line. Junior T.J. Moore picked up Second-Team as a linebacker, while senior Reshawn Turner was named to the honorable-mention list. Senior Patrick Spencer wrapped up his strong season of running for the boys’ cross-country team garnering Second-Team recognition. Senior Sarah Roehl and sophomore Declan Burke were on the honorable-mention list.